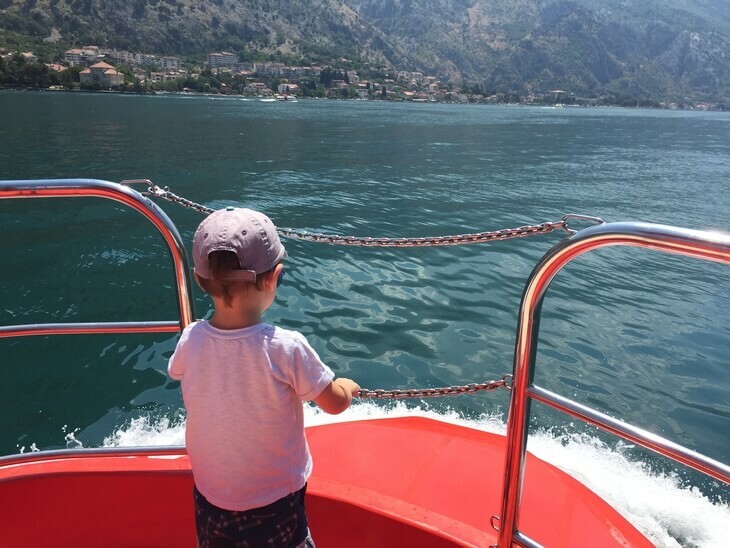 A little bored of the usual speed boat rides, we decided to try something new in Kotor recently. 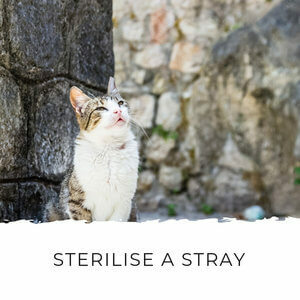 Ugh, that sounds really bad right?! Haha, I promise you that’s not how it went down! On a recent trip to the town, we took our son Kai over to the park to see the boats and play in the playground. He ran up and down the dock looking at the boats, especially the huge cruise ship that was docked in port. 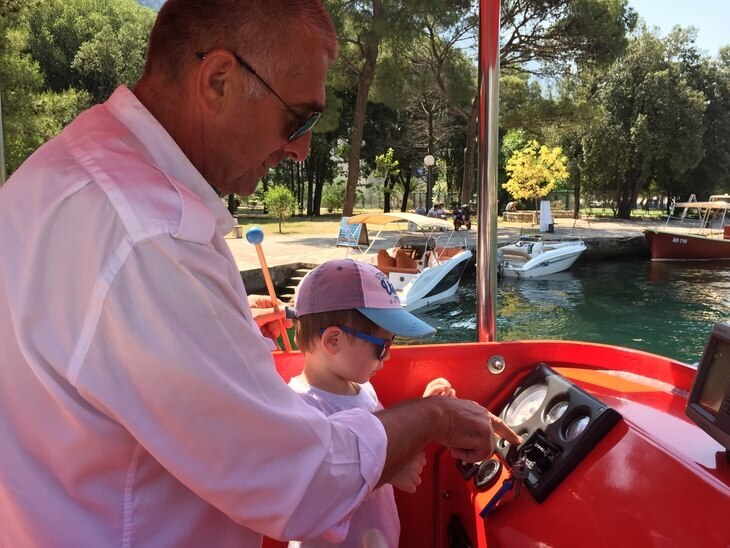 He was intrigued by the red semi-submarine owned by Montenegro Submarine and Speedboat Tours and we decided to give it a go. To say Kai loved this ride would be an understatement! 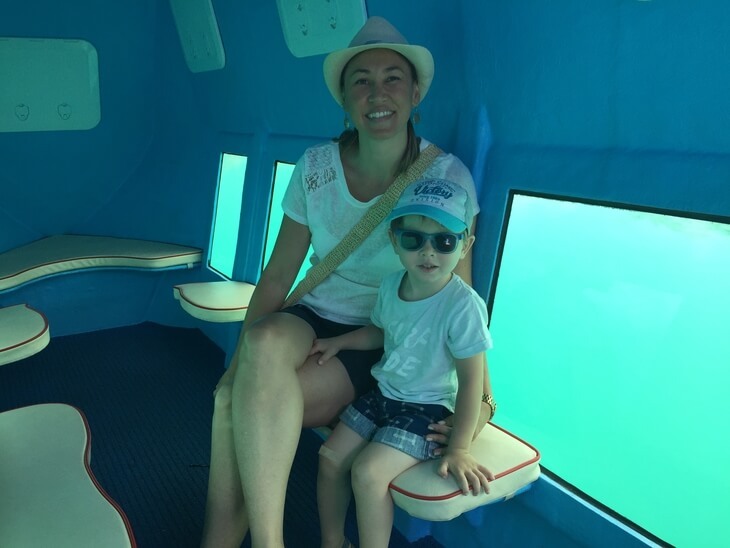 When we got on the semi-submarine our captain let Kai turn the engine on and there were squeals of delight as the sub roared to life and the water started foaming around us. Then when we got going, he couldn’t wait to head down below to see underwater. There wasn’t much to see except churning water, but for a three year old the rushing water and bubbles were fascinating enough in themselves. Watching the water, climbing up and down the ladder and just seeing underwater were thrilling! Heading back up on the deck Captain Grujo told us about the fairy cave above Kotor, a story I hadn’t heard before. Legend has it the first arrivals in this area wanted to build their town far up the hill. But a fairy, who lives in the cave above Kotor, told them to build the town between the two springs on the waterfront. And since Kotor has never been taken by force, it seems the fairy had good advice. 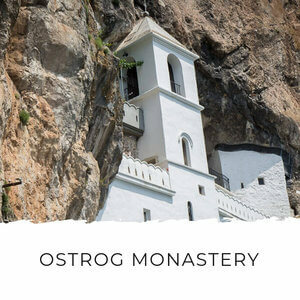 As we headed out of Kotor and motored along the Dobrota coast, we got a great view of the old villas, stone churches and sheer mountains behind. The coast looks so different from the water compared to the road, you really will get the best views of Kotor from here. 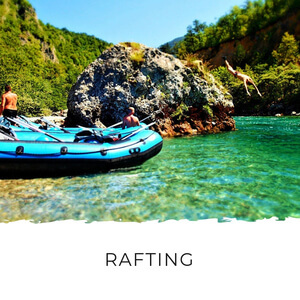 As we headed over to Prčanj, we went in close to shore, where we could see the bottom. You won’t see coral reefs anywhere along the Adriatic coasts, but there are always lots of fish and the water is pretty clear. We saw schools of little fish darting around just outside the windows and more large fish feeding along the bottom. There were also lots of prstaci, huge shellfish which dig themselves into the rock. Kai was fascinated. Being able to see the sea bottom and all fish up close like this was a real treat. He alternated between fascinated silence and squeals of delight when he saw a big fish. There were three sisters living in a stone house in Prcanj overlooking the bay. Unfortunately they were all in love with the same sailor. So they spent their days gazing out of their three windows, waiting for him to return. When the first sister got old and died, the other two boarded up her window and continued looking out of their windows, still hoping the sailor would come back to them. When the second sister died, the third sister boarded up her window and spent her days alone, looking out of her window on the top floor, still hoping the sailor would come back. When the third sister died there was no one to board up her window and it's stayed open ever since. Now you can see the villa of 'Tri Sorelle' (three sisters in Italian) with its two boarded up windows and one open one, as a tribute to unrequited love, on the Prcanj coast. 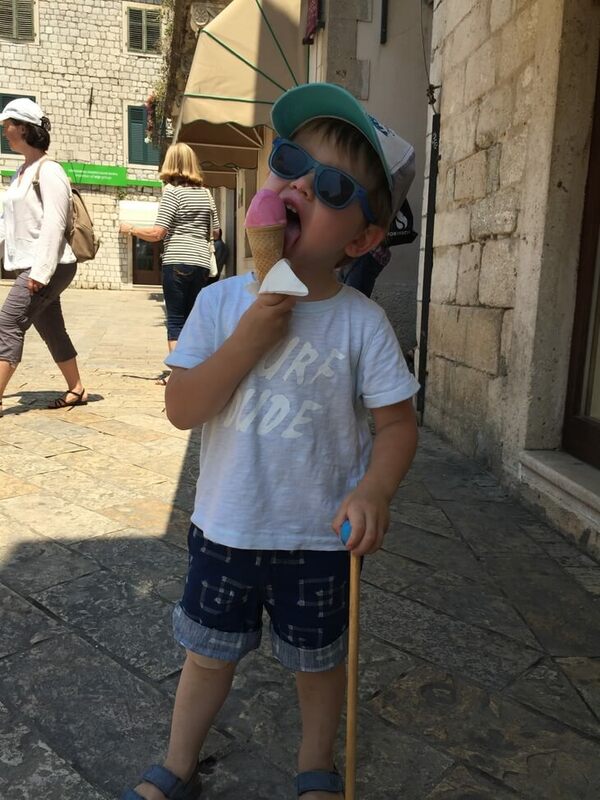 After we arrived back in Kotor City Park there was only one thing left to do to make this day perfect: ice cream! 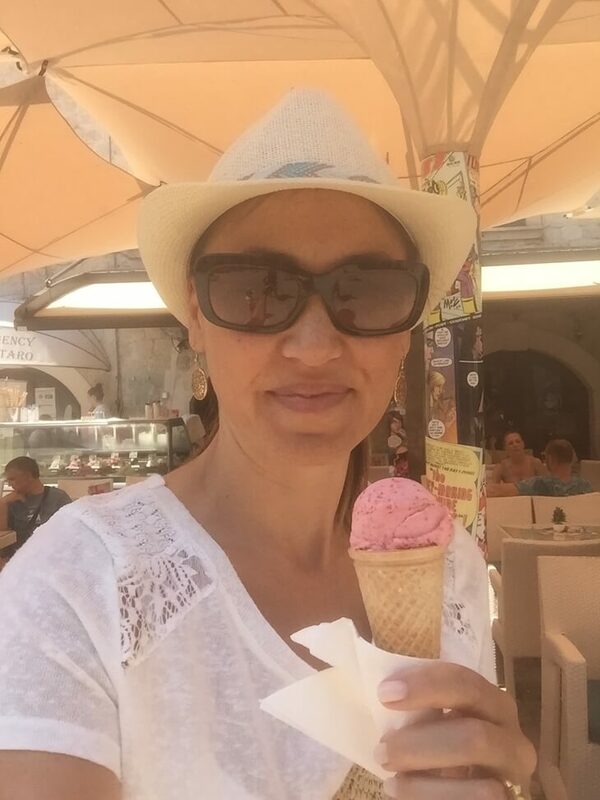 We headed into the old town to grab a couple of cones from Salvatore, the best gelato in Kotor. 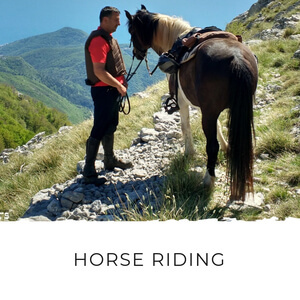 Their gelatos are made from real fruit and you'll find flavours that encompass local Montenegrin fruit, like wild strawberry and pomegranate. The perfect end to a fun family day out in Kotor! 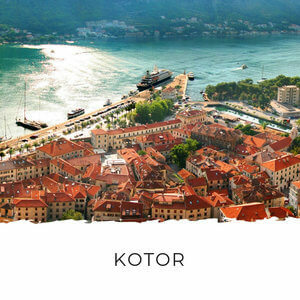 This is one of the best Kotor tours for families because there’s something for both parents and kids on this trip. For the adults you get a beautiful, relaxing, scenic boat ride with a guide to tell you about the local history and points of interest you can see from the water. 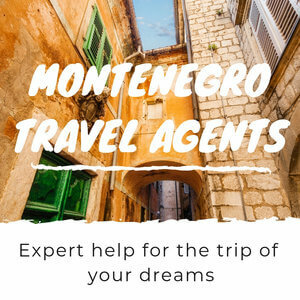 Don’t expect to see a wealth of marine life, but you will get some stunning views of Kotor town and the hamlets lining the bay. It’s the kids who really love this trip. 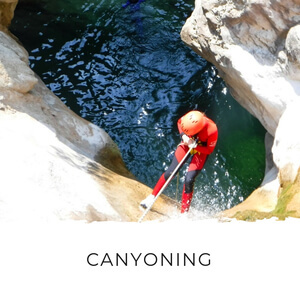 From the throwing of the bowlines to seeing underwater to just going for a boat ride, this is something your kids will get a real kick out of. 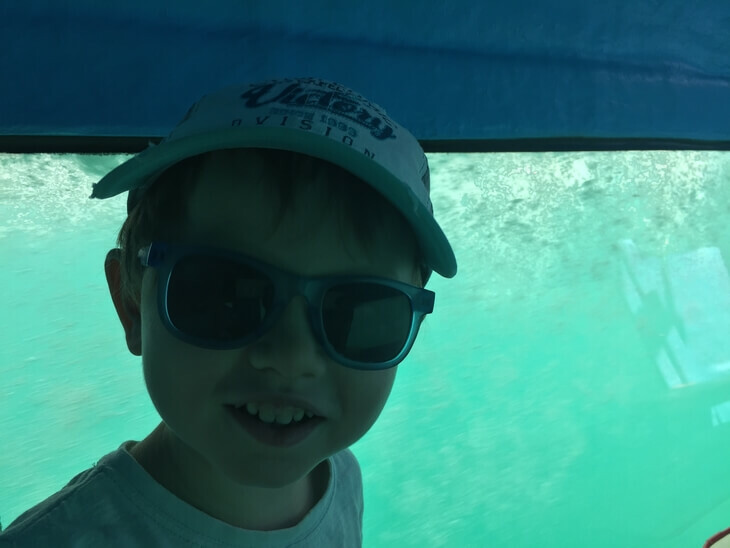 Kai has been telling everyone about his ride on the submarine for the last three days! 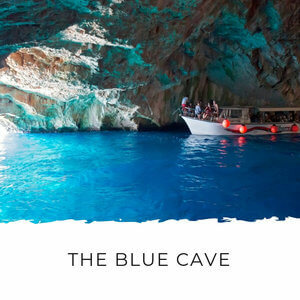 If you’re a group of adults or you’ve got older kids I recommend the Our Lady of the Rocks boat tour and Blue Caves boat tour instead. 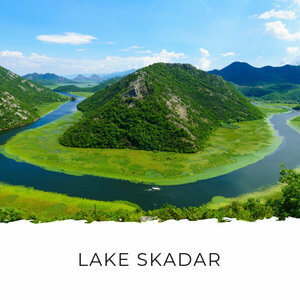 This tour takes you from Kotor, along the Dobrota coast to Prcanj, where you stop for a close-up look at the sea floor for 20 minutes. If you want to you can also go for a swim during the tour. Start/finish point: Kotor City Park (100m from Kotor old town). Price: Adults €12 each, children <12 €8 each. See what happens underwater at night on night tour. 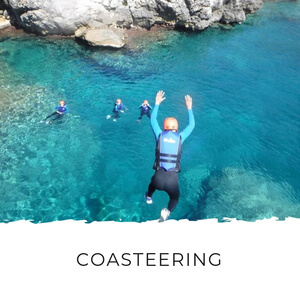 This is also a great way to get views of the coastal villages and especially San Giovanni Fortress all lit up at night – a really stunning sight! The semi-sub turns its lights on at night so you’ll be able to get a view of the nocturnal life in the bay. 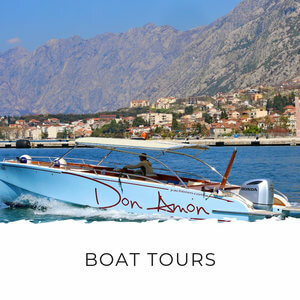 This is a relaxed tour along the Bay of Kotor coast between Kotor and Perast. 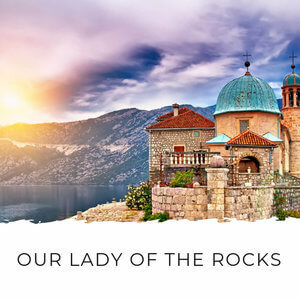 You cruise past the villages of Kotor Bay to Our Lady of the Rocks, one of the bay’s must-see attractions, that lies in front of Perast town. 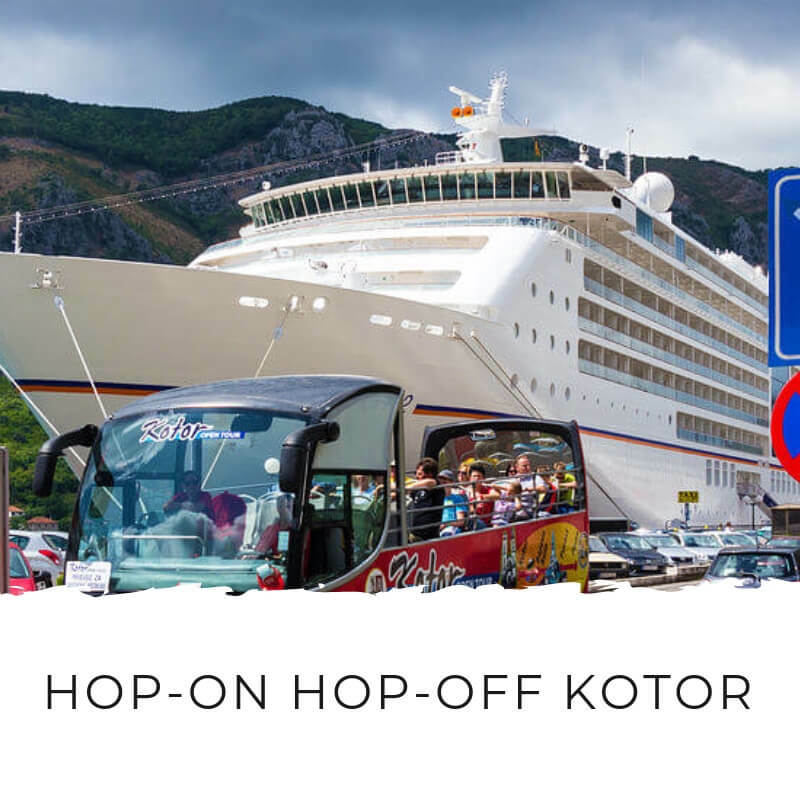 You have a 30 minute stop to take a tour through the church and museum (€1 per person for a guided tour) and then you cruise back along the other side of the bay to Kotor. Hours: 9am – 8pm daily. 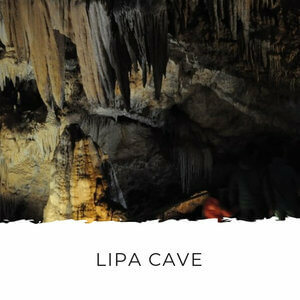 Price: €15 per person or €120 for private tours. 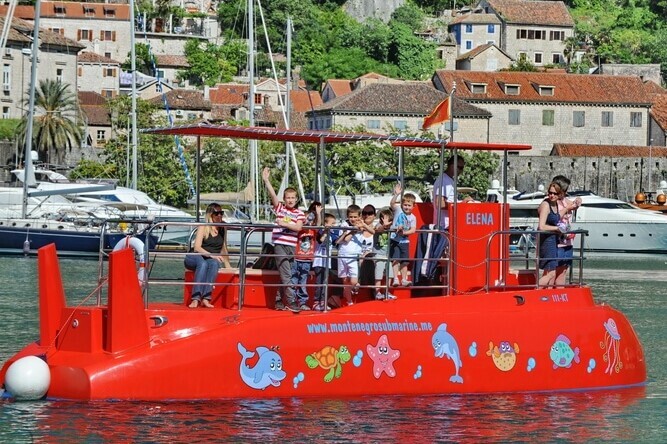 You can hire the semi-sub to take you wherever you’d like to go. 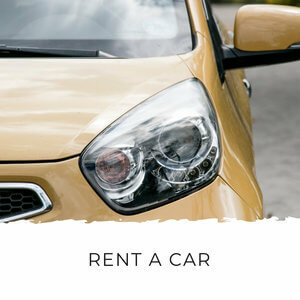 Make your own itinerary or ask for a suggestion. 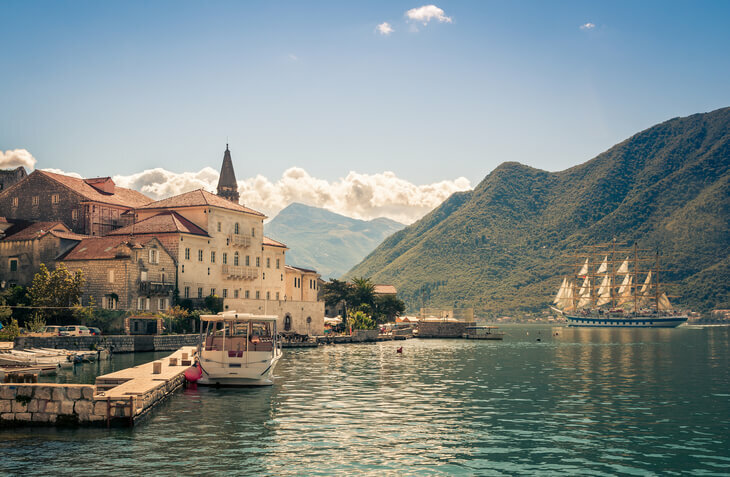 This is a great rental to see Perast’s most popular celebration, Fascinada, which takes place on 22nd July every year and has done since 1452! Hours: 9am – 11pm daily. Price: €60 per hour including skipper and fuel. Pick up and drop off from Kotor City Park. 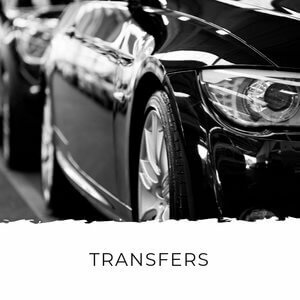 Pick up from other locations by agreement. Please send an enquiry. You can book now and pay on the day of the tour. The tour may be cancelled or modified in poor weather or sea conditions. Camera, Go Pro or phone for pictures. Swimsuit - wear your swimsuit under your clothes. There are no changing rooms onboard. Sunglasses, hat and sunscreen - there's shade on the boat, but you might be in the sun, depending on the time of day. Long sleeves - it can get cold on a boat, even on the hottest days. 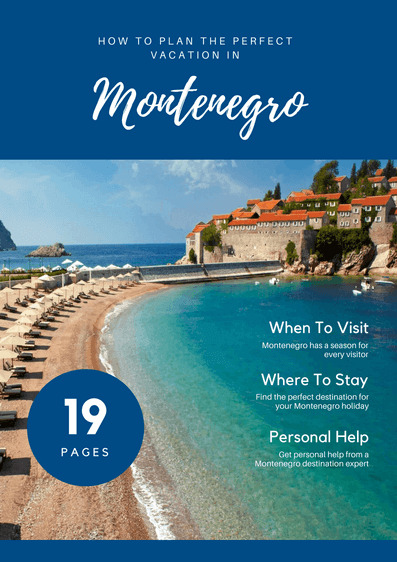 Exclusive for Montenegro Pulse visitors: You can reserve your spot on these popular Kotor tours. Not only that, you don't have to pay for your seats until the start of the tour. 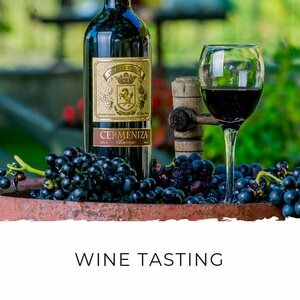 Take advantage of my local connections and make your reservation on this tour using the form below. 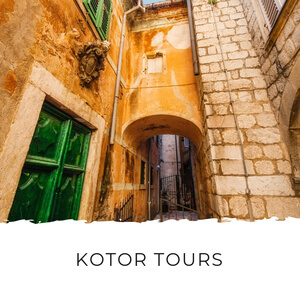 Looking for More Kotor Tours?